In the early 1980s, Mary Hall is a little girl growing up in poverty in Camden, New Jersey, with her older brother Jacob and parents who, in her words, were great at making babies, but not so great at holding on to them. After her father leaves the family, she is raised among a commune of mothers in a low-income housing complex. Then, no longer able to care for the only daughter she has left at home, Mary's mother sends Mary away to a small town in Oklahoma to live with her maternal grandparents, who have also been raising her older sister, Rebecca. 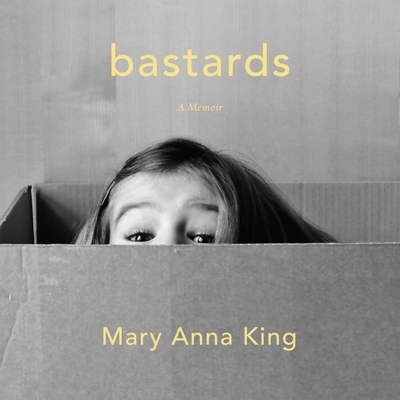 When Mary is legally adopted by her grandparents, the result is a family story like no other. Because Mary was adopted by her grandparents, Mary's mother, Patty, is legally her sister, while her brother, Jacob, is legally her nephew. Living in Oklahoma with her maternal grandfather, Mary gets a new name and a new life. But she's haunted by the past: by the baby girls she's sure will come looking for her someday, by the mother she left behind, by the father who left her. Mary is a college student when her sisters start to get back in touch. With each subsequent reunion, her family becomes closer to whole again. Moving, haunting, and at times wickedly funny,Bastards is about finding ones family and oneself.